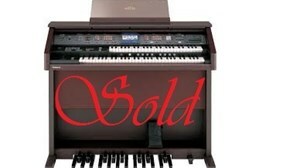 Prestige Pianos & Organs has a variety of New and Pre-Loved organs for sale. 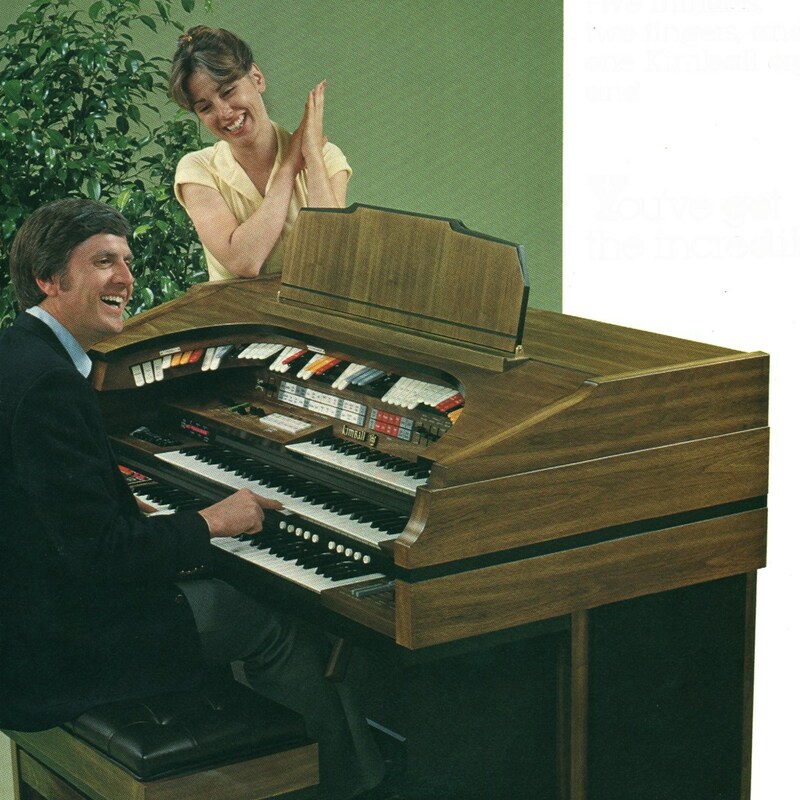 Our NEW range of home organs feature the all new Ringway Organs. This is a completely new series from Ringway, Home entertainment, compact and full of fun. 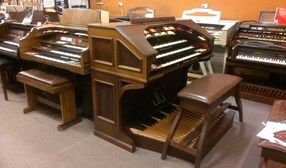 If you are looking for a Pre-loved organ we have a large selection of re-conditioned, workshop tested organs for sale. 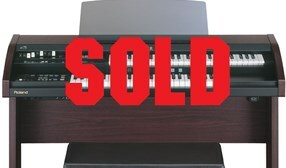 We carry all the well-known brands including Yamaha Electone, Kawai, Johannus, Hammond, Lowrey, Rodgers, Conn, Gulbransen, Viscount, Allen, Kimball and Wurlitzer. 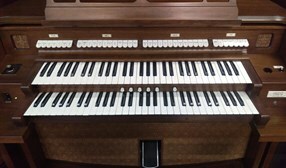 Our selecion and specialist care in this field make us stand out in offering the very best in home and institutional organs to suit all budgets. 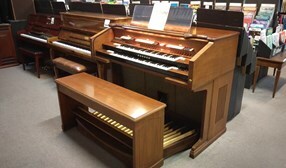 Allen Organ Company offers the world's most comprehensive selection of organs, responding to every taste and need. 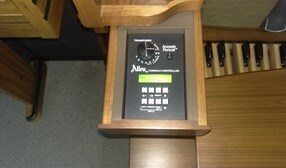 Allen Organ installations in prestigious houses of worship and concert halls throughout the world have set the standard by which all digital organs are judged. 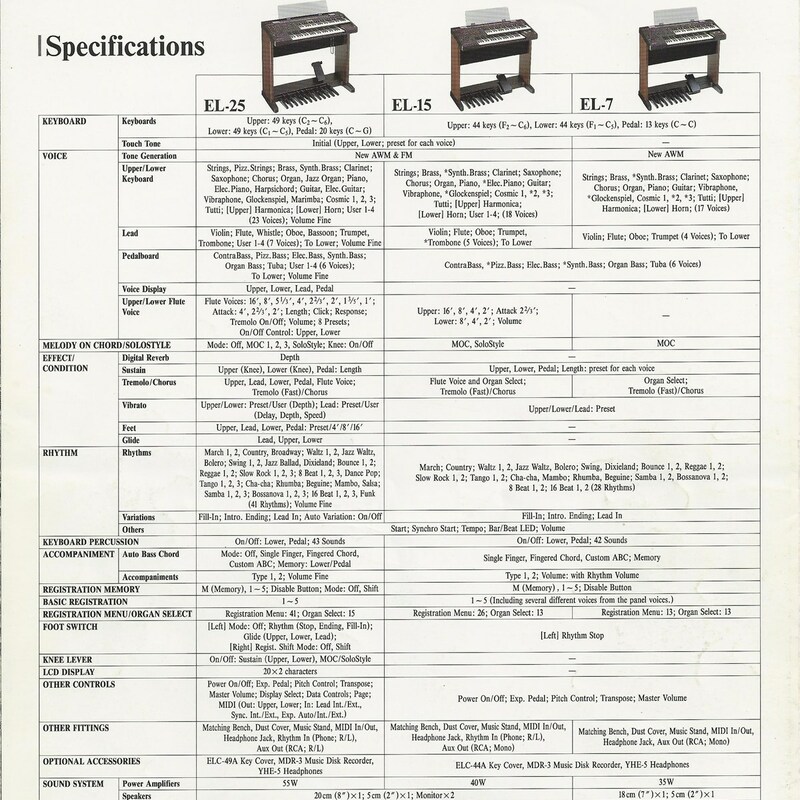 If you are looking for a complete specification in a Theatre Organ, look no further! 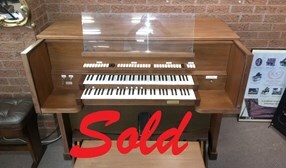 This is a lifetime opportunity to own an organ that George Wright himself would be proud to own! 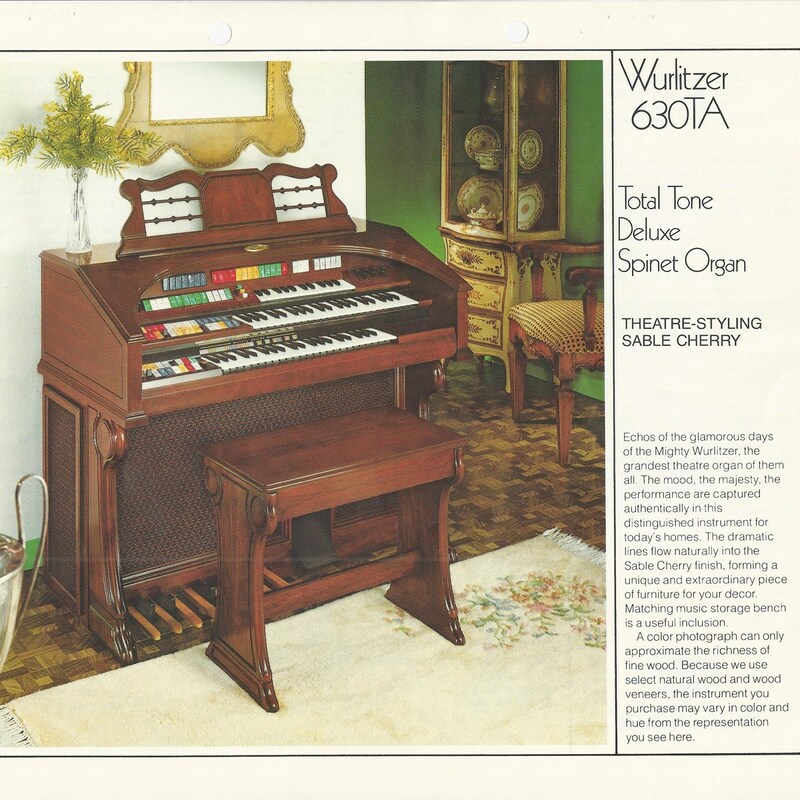 He actually was asked by Allen Organ to design his preferences in an organ that would really impress, and at the same time fit in a house! These were built for a period and now widely sought after as a truly limited edition model! 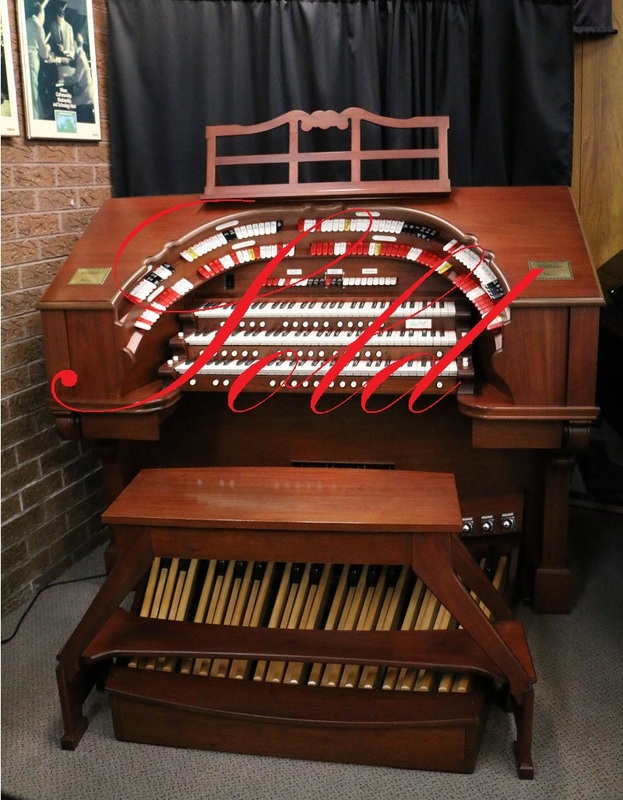 Please note:All Allen Organs are backed by full supply of parts for the life of the organs, truly a testament to service and back-up renowned in the industry! This is a very rare find indeed! 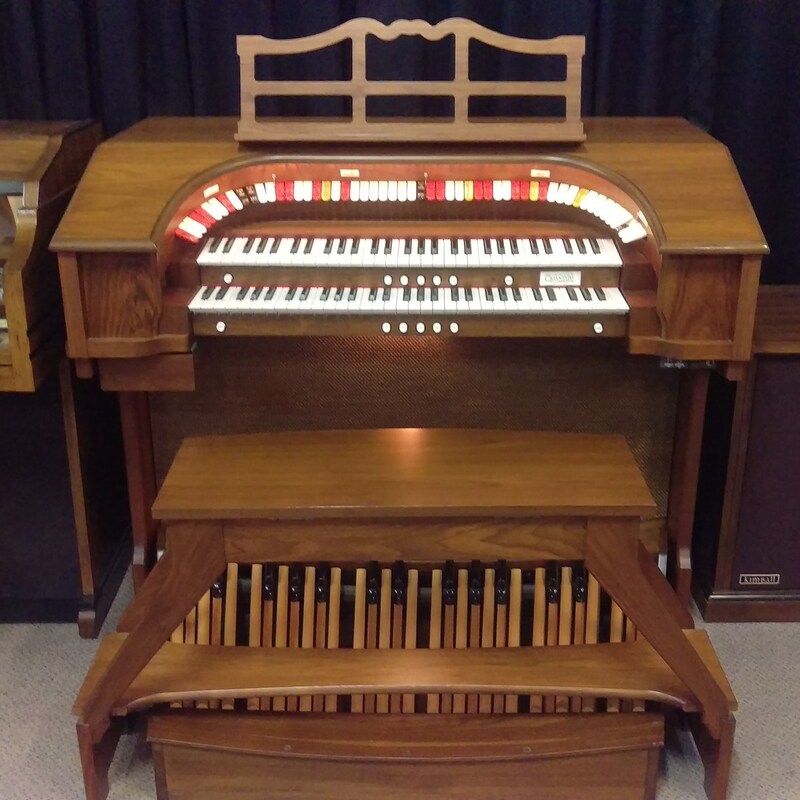 A recent Q211 compact 10 rank theatre model with the true authenticity and style of the great theatre organs from the past! 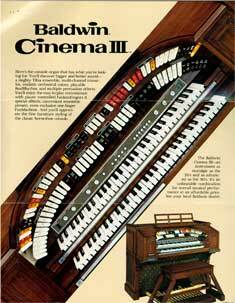 Sampled from actual pipes and throbbing tremulants, you would swear you are sitting at a mighty theatre organ! The tibias, vox humana, strings are simply beautiful, and post horns are big and bold as they should be! To complement the sound it also has Acoustic Portrait™, sampled acoustics that actually recreate the spaciousness of a large theatre, cathedral or whatever space your taste desires! 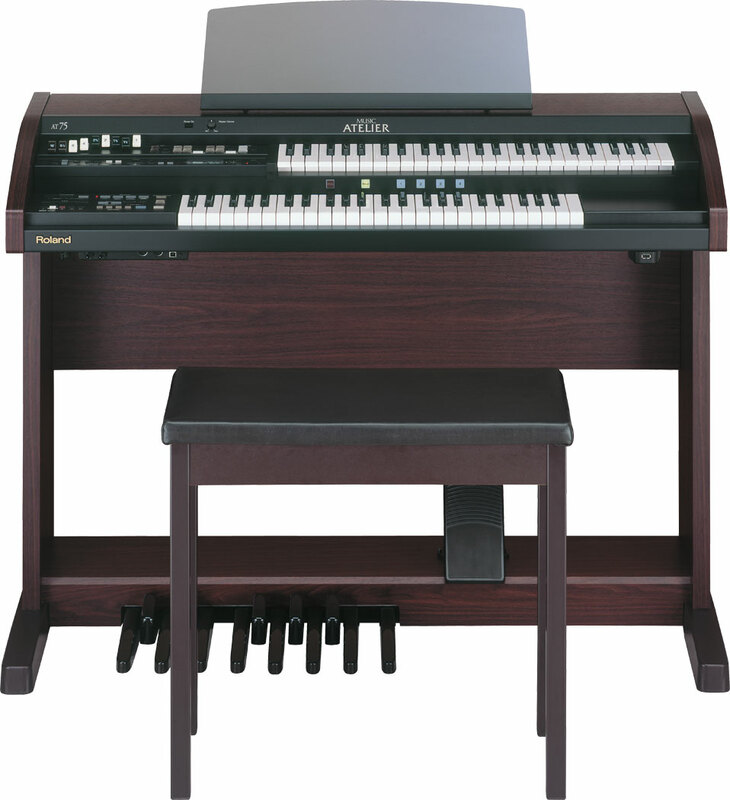 The Q211 also features a 17 rank classical organ that changes it from a theatre organ to a traditional classical organ, so two organs in one! This model features Real Xpression™, the actual sampling of shutters opening and closing with the expression shoe, just like the real thing! 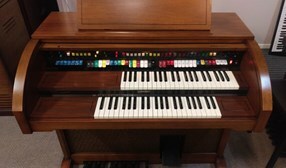 The organ has over 80 settable presets for your favourite registrations, plus real moving tabs to indicate what you have selected. 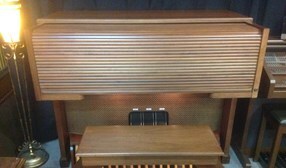 A recent restoration of a beautiful Allen Classical organ model ADC 710T (1987). 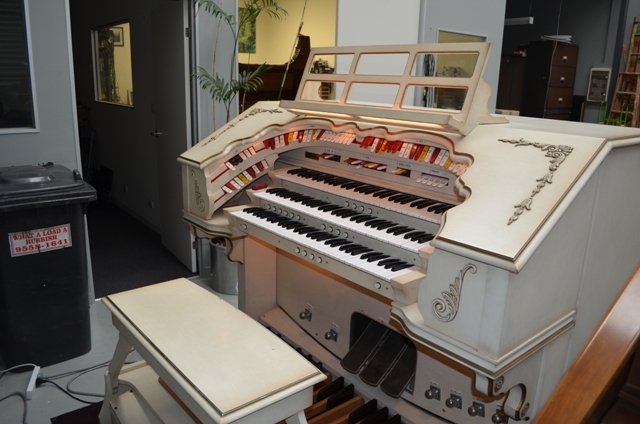 This model was a special instrument and was configured in a a non-standard fashion. It can be used for both classical or theatre style music. Included in the specification, excellent string and reed voices, and excellent percussion section, including, chrysoglott and glockenspiel. 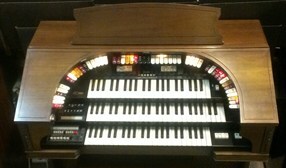 The organ has two levels of settable memory presets, allowing quick registration changes via the pistons, 14 in total. 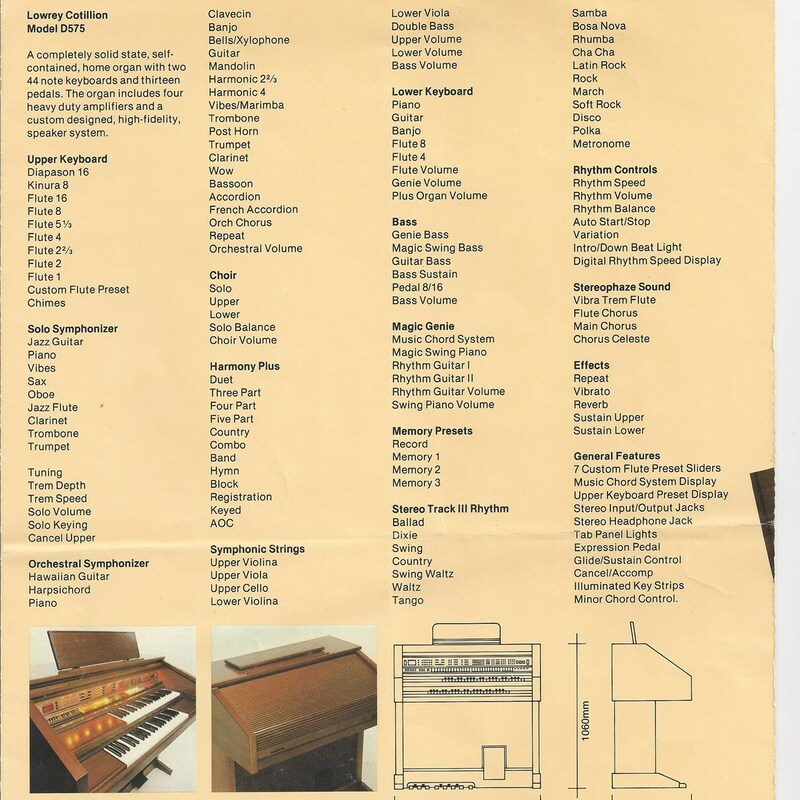 Standard classical specification of 61 note manuals/32 note AGO radial arc pedal board. 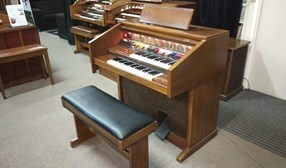 The organ is completed with lighted music rest and lockable roll top lid, plus matching bench. Excellent for a practice or church installation. 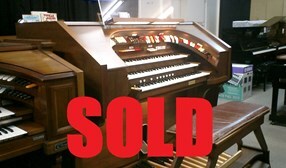 Being an Allen Organ, parts supply are guaranteed for the life of their instruments. POA. 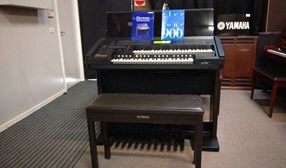 instrument with two full 61 note manuals and a 32 note radial arc pedalboard. 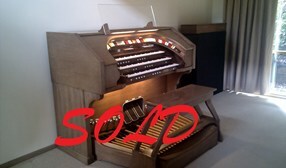 organist or for a small church/chapel on a budget! with matching lift up lid bench. 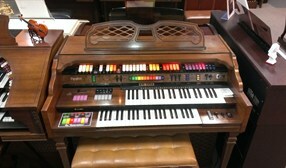 Here is an organ to be proud to own, with so many features to make you sound better than ever! 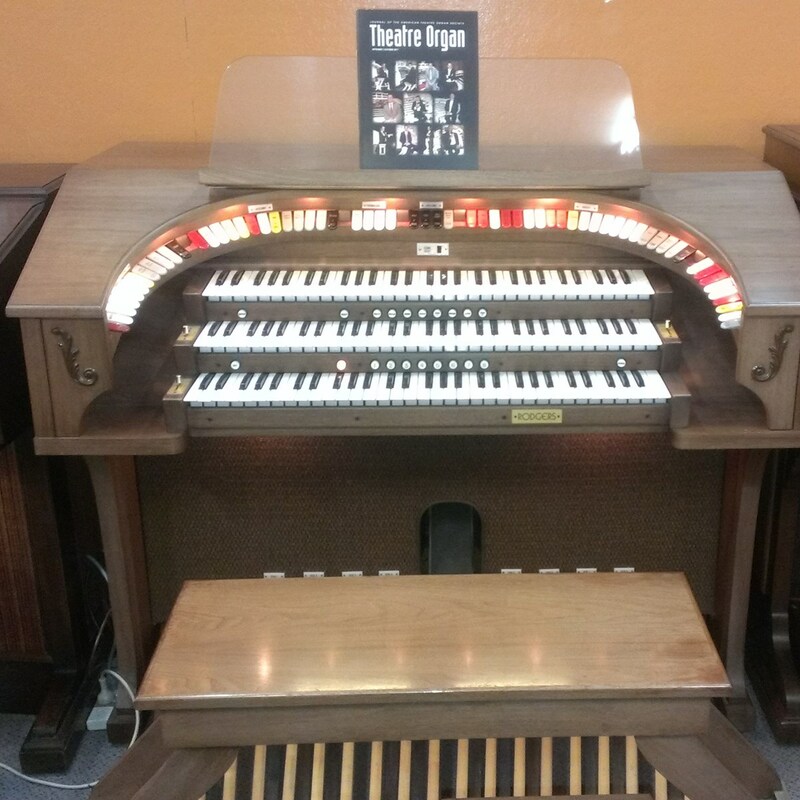 From the wonderful theatre design cabinet that wraps around the player, and reminds one of those glorious days of the mighty theatre palace organs, to its glorious tone, this is the flagship model! The cabinet is stunning, with full lit console, music desk and pedalboard, complete with a generous lift up theatre bench. 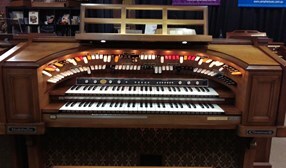 Authentic Tibias and Vox Humana plus a huge array of pipe stops make this organ sound rich and deep. The sound system boasts great separation with a very realistic tremulant to bring the whole theatre organ sound together. 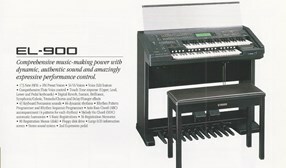 Other features are the exclusive Baldwin Fantom Fingers for great rolling arpeggios, and realistic piano type sounds. The Baldwin Real Rhythm is a good way to accompany your renditions and bring a band like backing to the featured organ sounds! 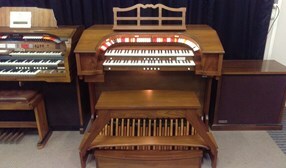 This organ was a one owner instrument and has been fully workshop serviced and checked. One play will impress! 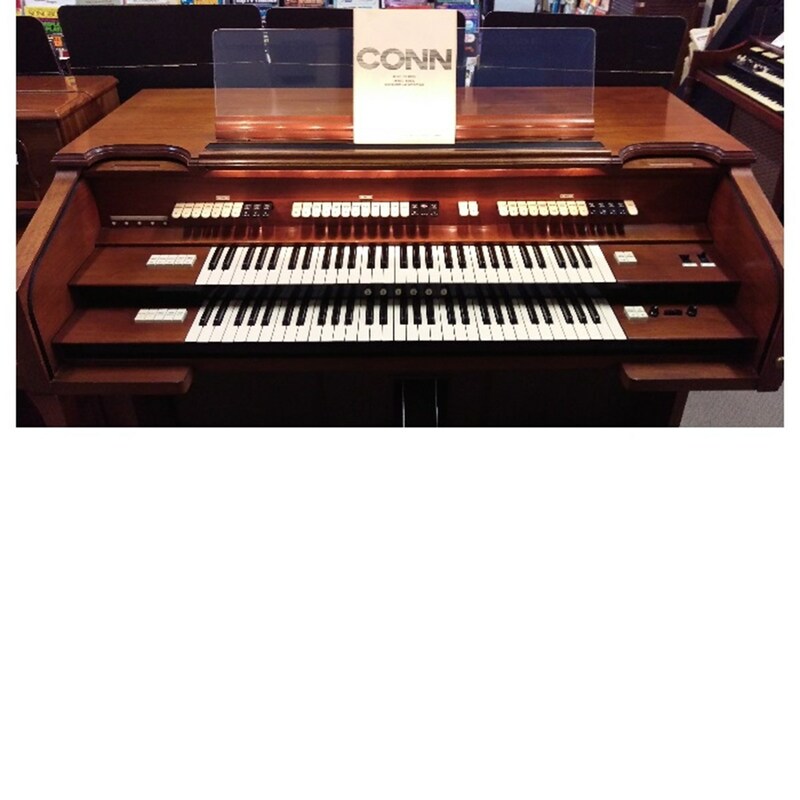 Conn Organs have that beautiful Theatre/Church Organ sound that made Conn famous. Individual tone generators create that mellow full magic sound. 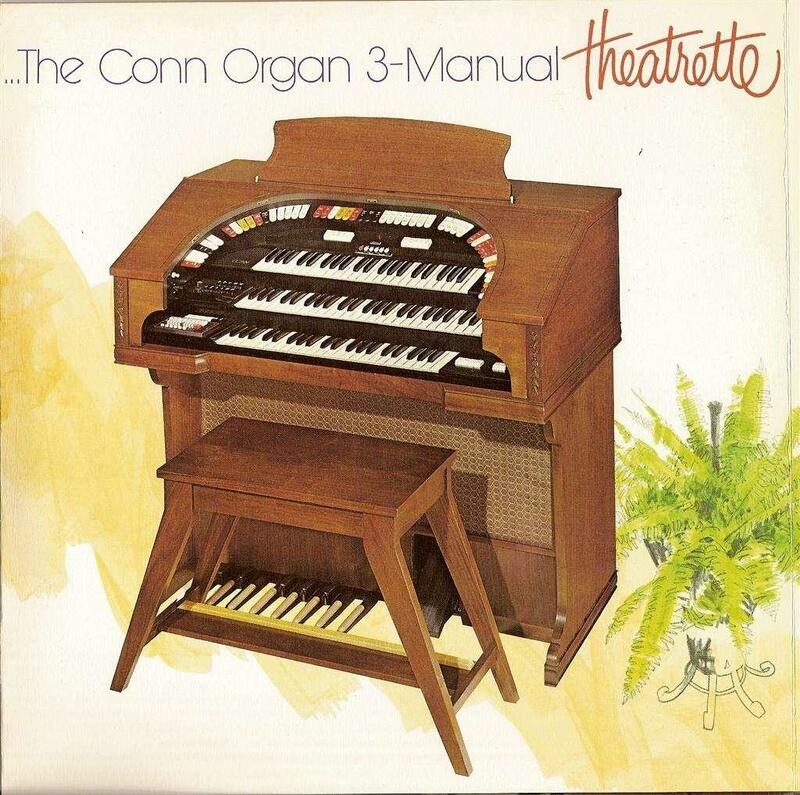 This series by Conn was one of their best and most popular organs ever made. The Theatre design is complemented by the horseshoe console and soft lighting plus matching theatre styled bench. 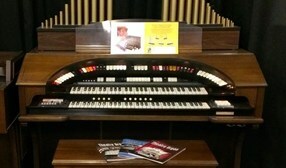 This organ is easy to play and really is beautiful in all aspects and compact in size, Sound, Features and Presentation! CONN 580 THEATRETTE, SERIES II. CONN 644 Martinique Theater Organ. 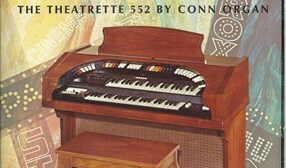 CONN Deluxe Theatre Organ Model 646 "New Martinique"
Conn Artist 716 Classical Organ. 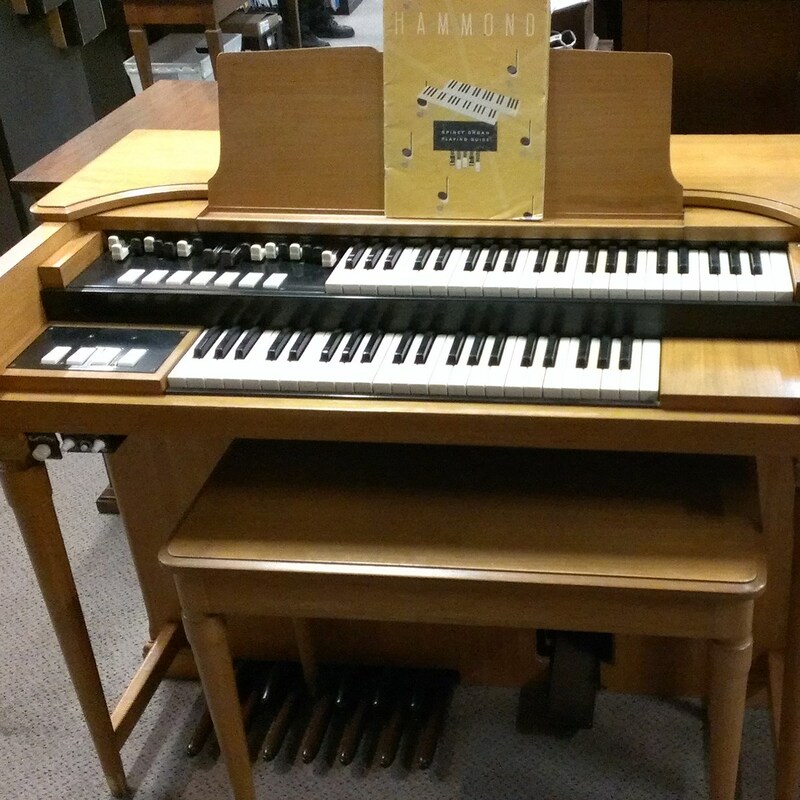 HAMMOND ORGAN are famous for the typical drawbar sound so familiar with pop/jazz and rock music, especially with the famous Leslie speaker! 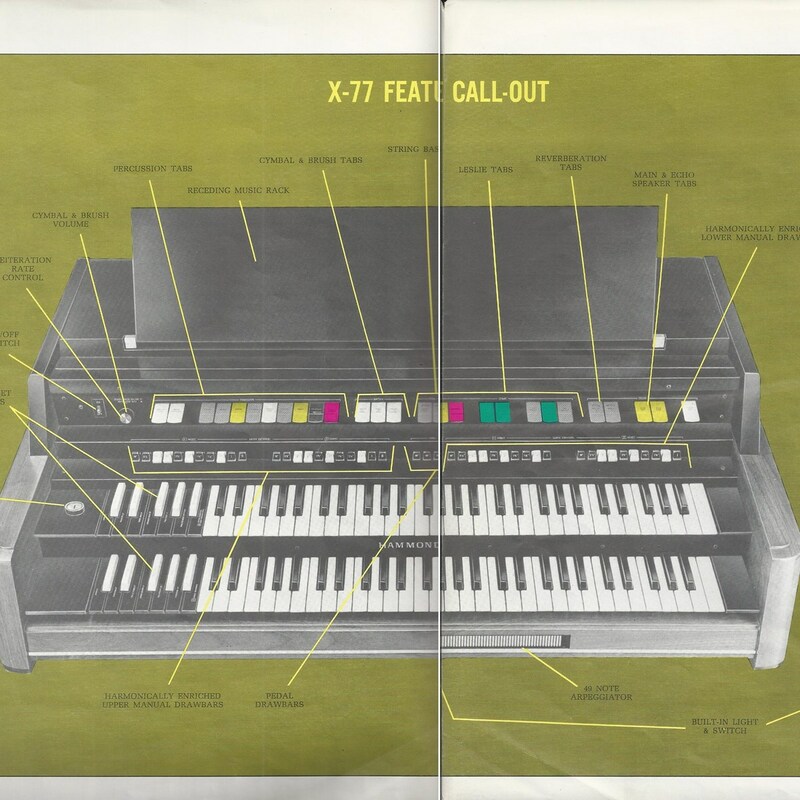 Here is a fine example of this rare beast, the X-77! 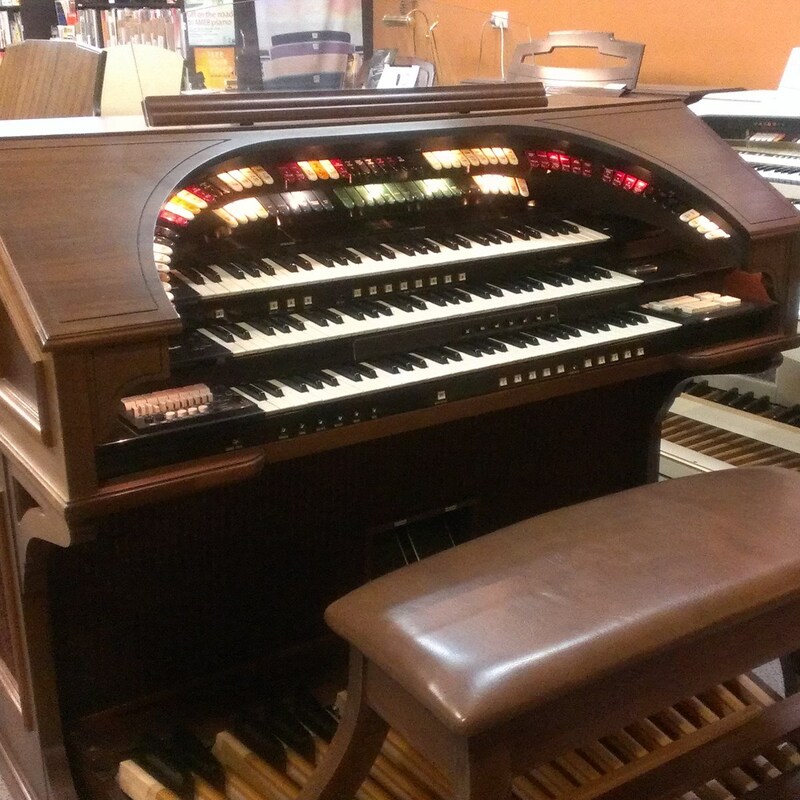 Here is an organ with big bold sounds as well as sweet clear tones that you would expect from a top range instrument like this. It has the reverse key presets for quick change of drawbar sounds, plus it has the extra brown drawbars which create "sub- octave" effects giving added depth and richness. 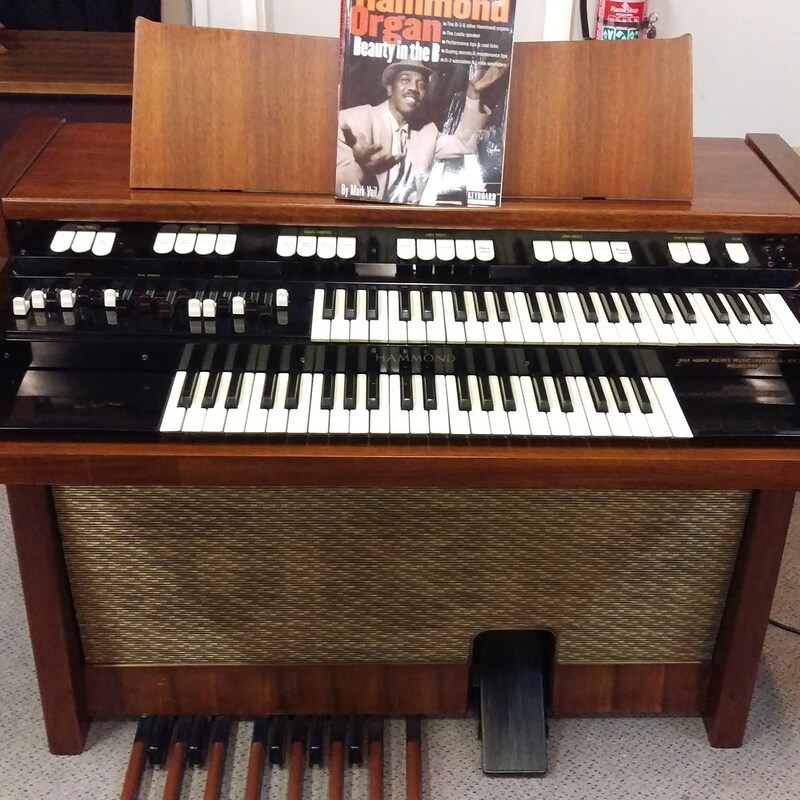 This Hammond unlike its earlier cousins has sustain for bass pedals and percussion sounds, such as harp, glock and chimes, plus twin mallet effects for marimba and xylophone. 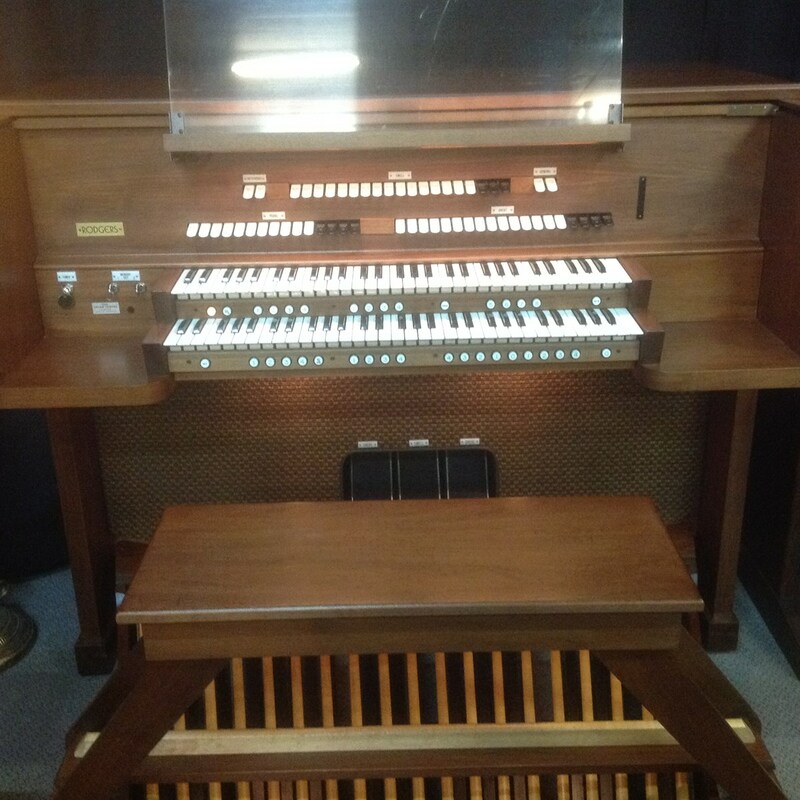 To complement this beautiful organ, the Leslie Company made a special matching speaker cabinet to bring out the fullness and depth required for this instrument. 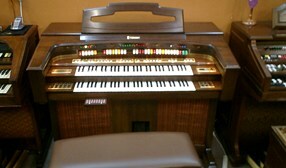 This organ has been refurbished inside and out, and the keyboards have had the felting installed and rubber removed. 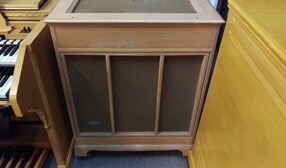 We have freshened up the cabinet and Leslie to bring it back to showroom condition. 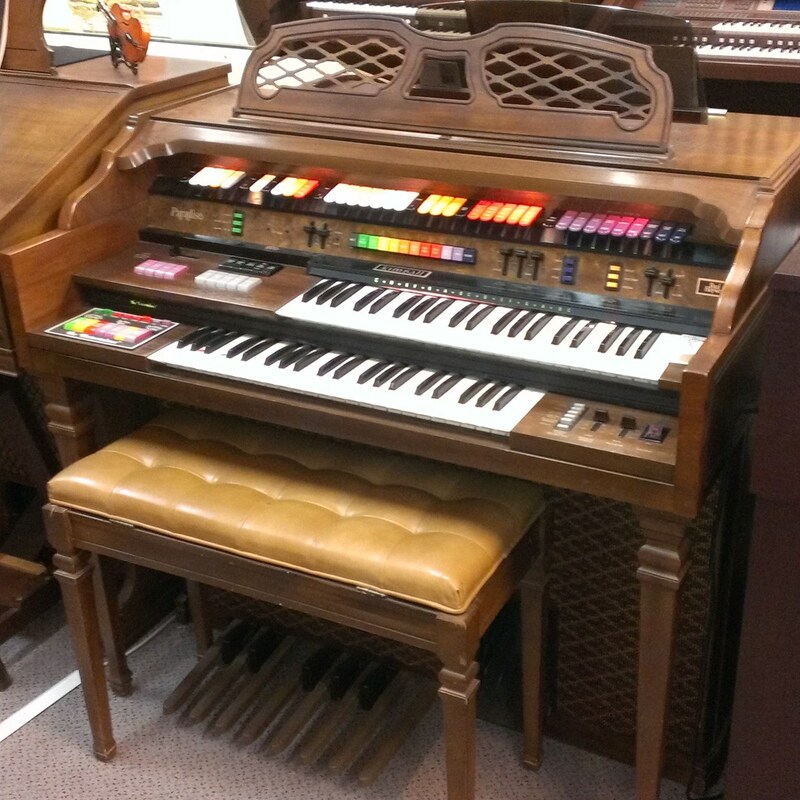 The matching bench, lighted music desk and console/pedal s, round off this impressive Hammond Organ. Well if you want that real tone wheel sound, then here it is. 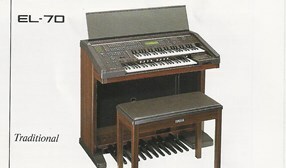 The M101 was considered the next best thing in a spinet version to the B3. Well if you want that real tone wheel sound, then here it is. 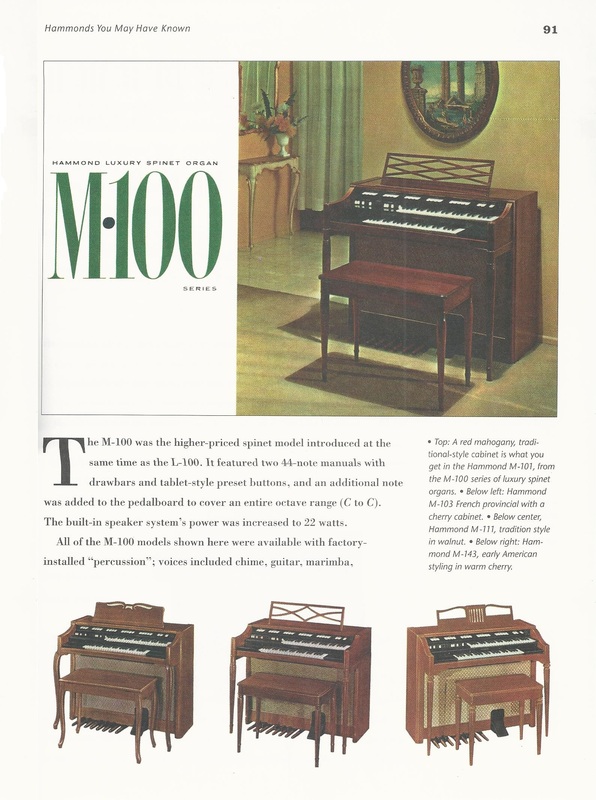 The M102 was considered the next best thing in a spinet version to the B3. 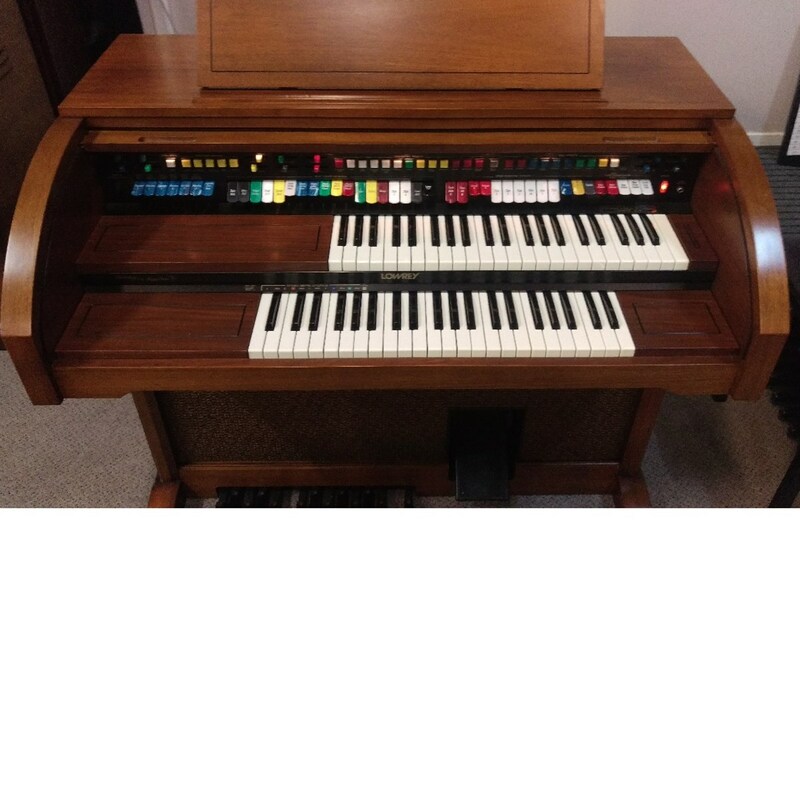 If you love the sound and feel of a real tonewheel organ then look no further! 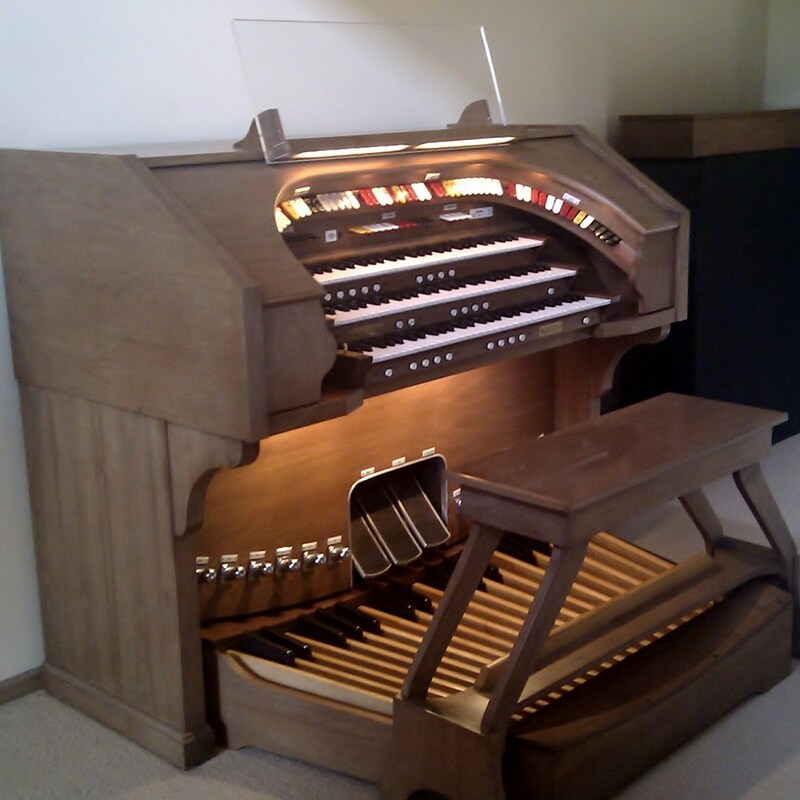 Here is abeautiful C-3 (B-3 in gothic cabinet) in light Oak. 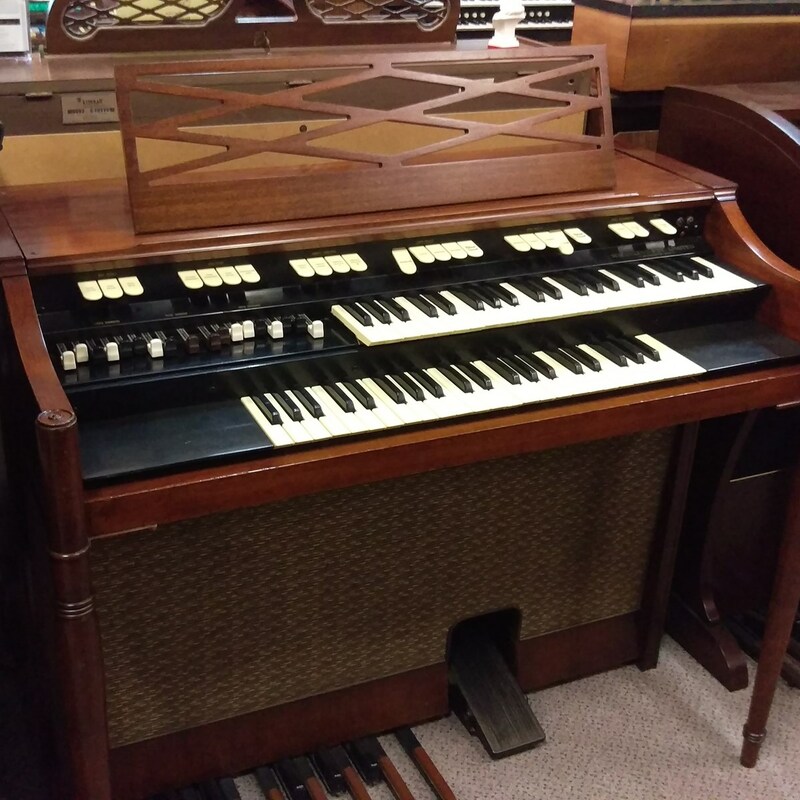 This organ would be fairlyrare in this colour, plus it has the matching PR40 cabinet and Leslie model122RV for that complete rotating full live sound. 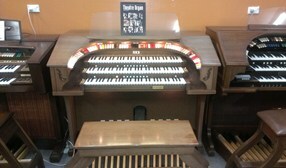 This organ is for the trueenthusiast, who wants the sound and feelthat this beautiful beast can give! This particular one has been fullywork-shopped and overhauled as required. 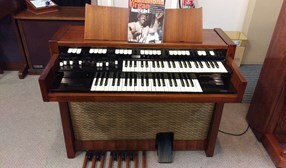 Ideal for the professional musician, homestudio enthusiast, or just someone that wants the ultimate Hammond sound! 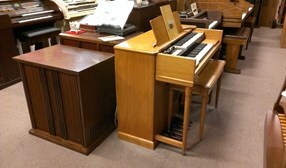 The Hammond M3 is a great sounding organ particularly when you combine it with a Leslie revolving speaker! This is the real deal with actual spinning tone wheels, and that sound that really is hard to imitate, and certainly unique! 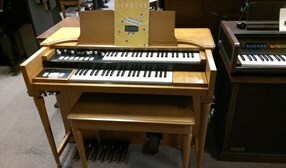 This M-3 is connected to a Leslie 130 compact sized cabinet,plus it has its own internal 12"speaker with a switch that allows both to sound,or just the organ or Leslie separately. The M-3 series was built from January 1955 to January 1964, and they were built to last and keep lasting! This one is finished in the rarer blond finish with matching original lift up bench and original owners manual. 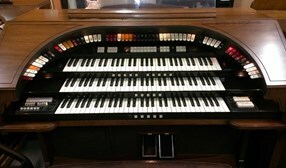 Fully serviced at Metropolitan Organ Service and ready for a new Hammond player! 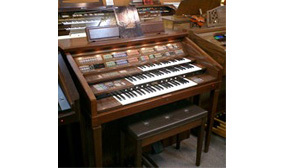 Kimball made pipe organs in their earlier years, and had a great understanding for good tone and useful effects. Many models had realistic orchestral and percussion effects combined with rich tibias. so it was certainly their benchmark. 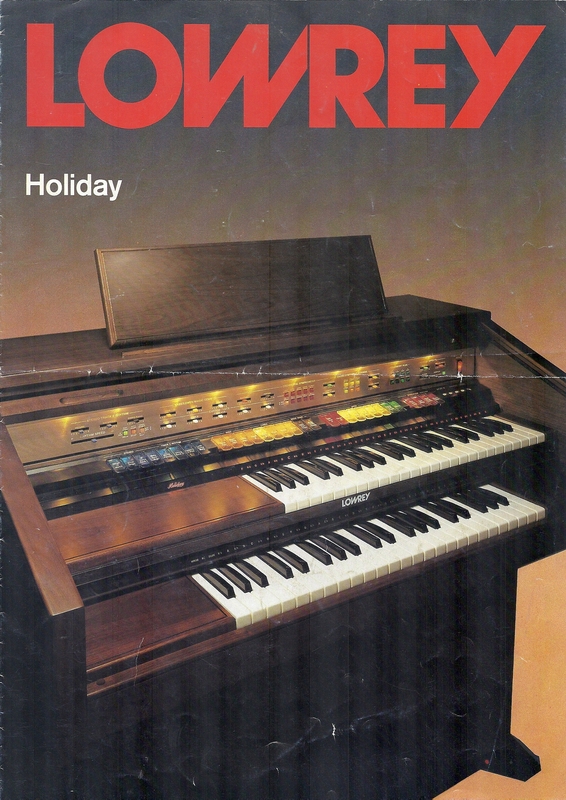 Let our organ guru "Leith"
With research and development reaching back as early as 1918, Lowrey today continues its long-standing hallmark of product excellence and is known worldwide in the recreational music-making market as the number one choice for consumers. 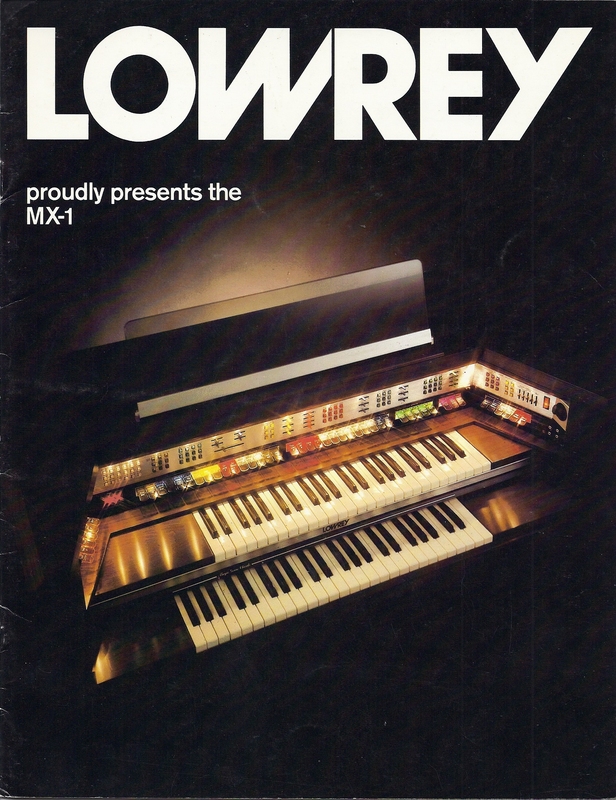 Always committed to making music accessible for its customers, Lowrey continues to innovate by pioneering new technology, introducing new products, creating new and exciting consumer programs, and by offering the largest product line in the industry. As we are Lowrey Dealers, we certainly can recommend this company as a leader in home entertainment instruments! This model is one of our favourites from past models of the ever popular Holiday series! The D325 is packed with fantastic sounds and a full bodied sound system to match. All this series now require a full workshop overhaul, including re-soldering of boards, to make this series reliable and a good choice for years to come! This model has had this overhaul, and is in excellent condition. With gorgeous rich flute tones, matched with singing choirs, symphonic strings and wonderful orchestral and percussive instruments, you will never tire of its many options to make beautiful music! 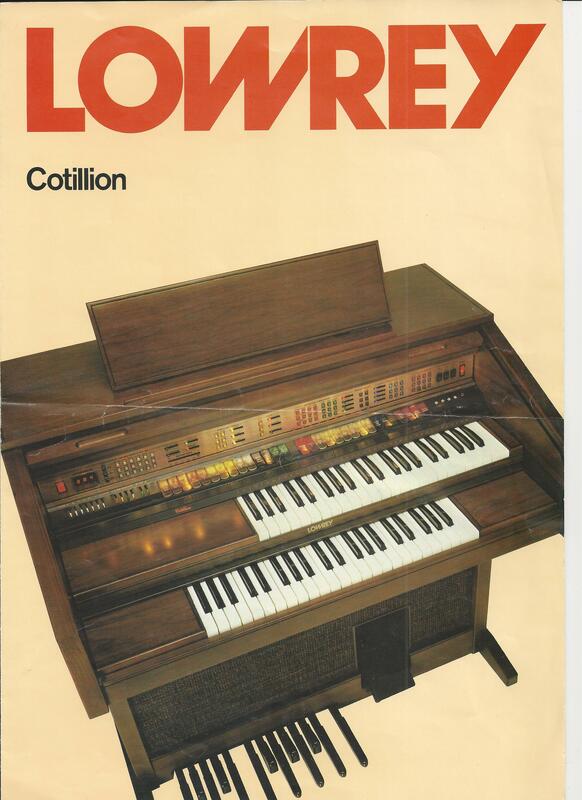 May we present the top line spinet model Lowrey Cotillion with 2 49 Note Manuals and 13 Pedals. The big sound system really surrounds you, and the bass clear and full. 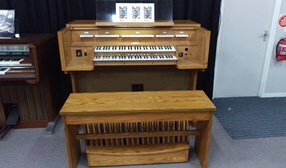 This model was the top of the range in the spinet series, and had so many useful features, including one touch settings to recreate Big Band, Solo Orchestral, Full Strings, Singing Choirs, complete with a deep resonant Bass Cello. Above all it has the rich Lowrey Flutes that really sing! The organ flutes are versatile as you can switch between traditional tabs and sliding drawbars. You can set your favourite flute settings and recall them with the flick of a tab, plus memorise three complete registrations. This series utilised an excellent Tremolo/Chorus effect without the need for a physical revolving speaker. 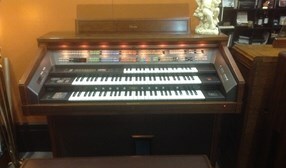 The organ also has lots of rhythms and good automatics that even a beginner will sound very accomplished. Complete with soft dimmable console lighting, plus a pedal light to softly illuminate the pedals, and sockets for headphones and external/ internal additions. 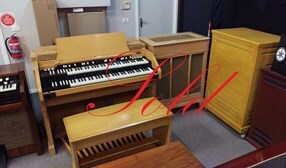 This organ produces a magnificent sound and offers a wide range of instrument accompaniment that suits you. 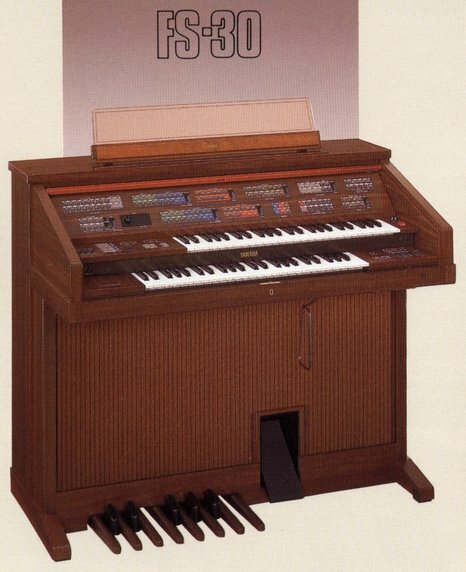 A big rave in its time, one of the high tech state of the art organs in the early 80's. Featuring orchestration plus, providing the user with instrumental, orchestrated automatic accompaniments to improve your sound and fill the room with music. It features, Bass, harmony, symphonic strings, various instrument presets, Orchestral percussion and much, much more.essentially providing you with your own electronic orchestra. It is in great condition, and will look great in your house. This instrument has been fully Workshop tested and works perfectly. 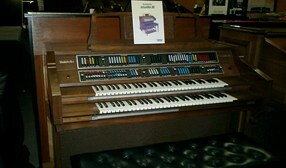 Acompletely solid state, self contained consolette organ with two 49 note keyboards and 18 pedals. 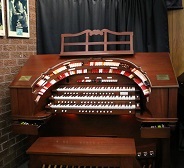 The organ includes six amplifiers and seven full fidelity speakers. Comes with original manuals and matching bench. Multiple Foundation and Reed organ tones through Principals, Flutes, Strings, Chorus and Solo Reeds, Percussions, etc. Four Programmable preset pistons for quick and easy access to a certain sound. Transposer for key shifts of 4 semi-tones up or down... and many other accessories. 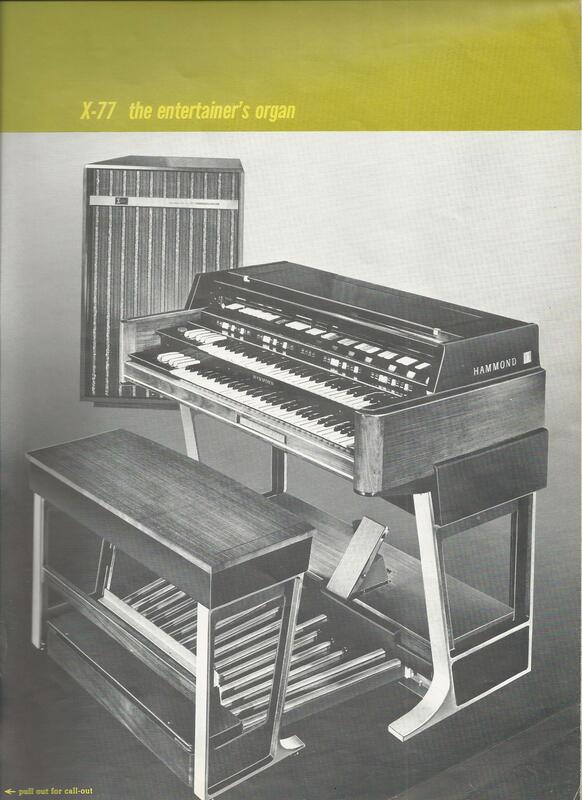 The Rodgers 700B Series Organs did comprise three very special instruments: the COLUMBIAN 700B, the JAMESTOWN 725B and the SCARBOROUGH 750B. 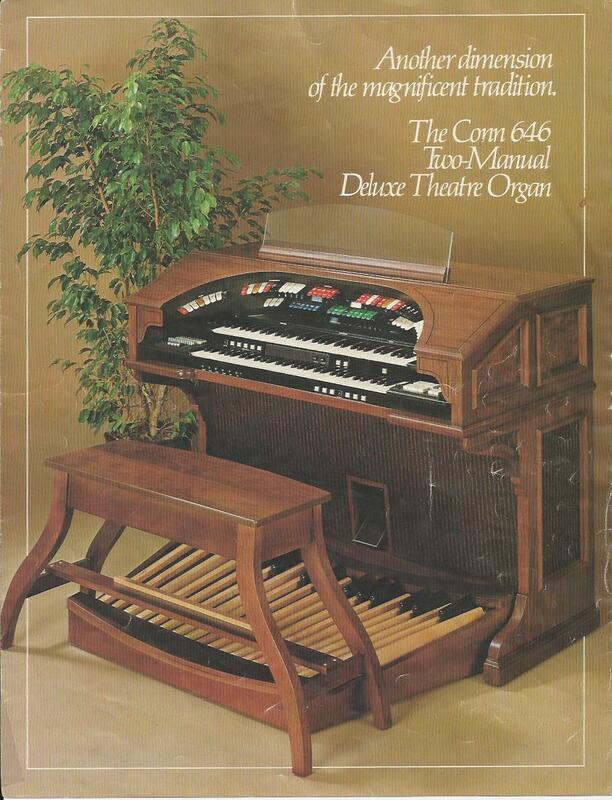 This Series of two-manual organs combines the finest organ tradition and classical tonal schemes with current electronic technology to give the organist and the listener the finest organ sound. The design of this Series began with the development of a specification which allows music of all periods and schools of performance to be played as accurately to each tradition as possible. Rodgers popular model with slight variations on the theme. 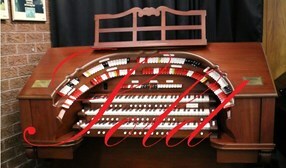 They believed that if you design a good organ then why change it! They made various models in this series with a few variations however the theme was good with rich sound and very clever engineering. Reliability and parts available for all this series makes them a good value for money product with everything you need in a theatre organ. 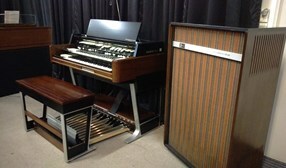 Full 61 note wood core keyboards and a 32 note radial arc pedal board all built into a compact cabinet. This particular model has the separate Rodgers Tone Cabinet which houses all the speakers to give you true pipe like effect! 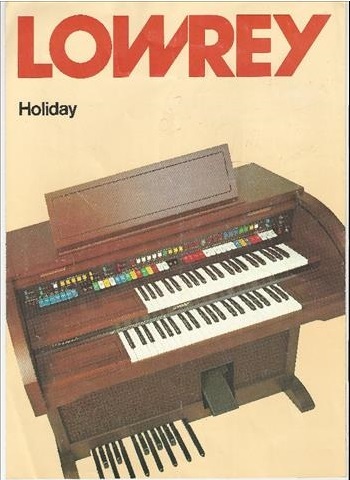 Contained in the lid of the organ console is the real glockenspiel for the ultimate in realism. 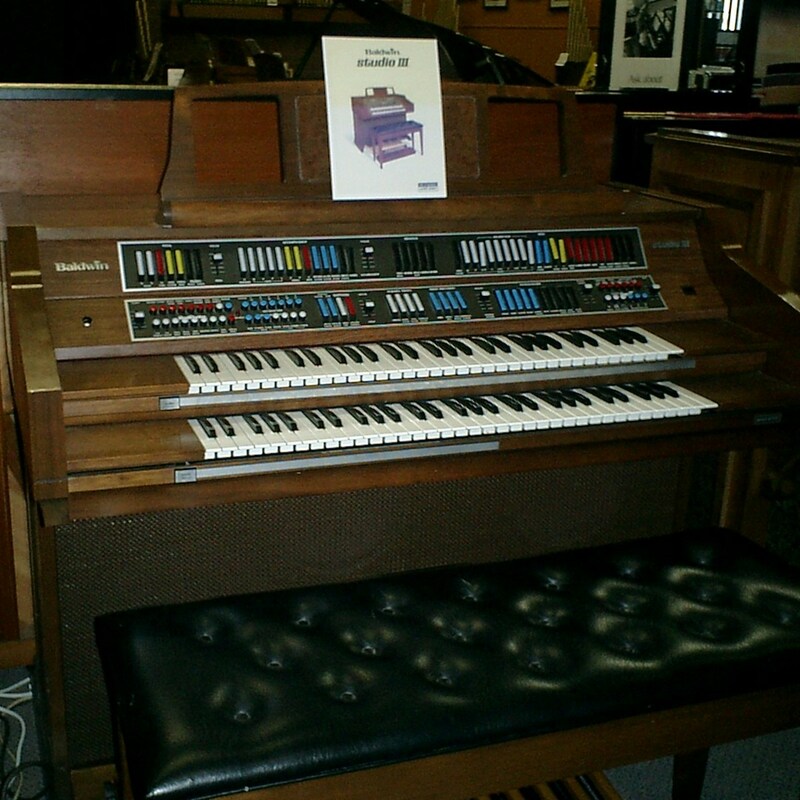 Factory presets included make this organ a very attractive package indeed! P.O.A. This is the later model of this popular Trio series. The Trio 321B features a completely self contained speaker system, unlike the earlier models which had remote speakers. 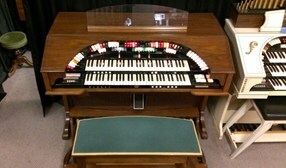 This model also had the ability to allow the organist to set their own presets and recall them on one of the eight pistons located between the great and accompaniment manuals. 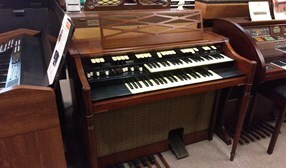 RODGERS Deluxe Theatre Organ Model "Olympic 333"
If you like the traditional sounds of the Theatre Organ, then this organ is a very rare find and will please any organist! As far as I am aware only three of the Olympic models were imported toAustralia, and it certainly is a lovely model indeed with great versatility. 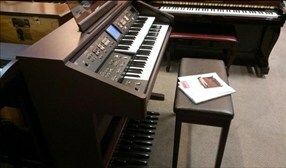 It has a full size 32 note AGO radial arc pedal board, and three full 61 note wood core keyboards. It has full capture action memory preset system, in other words you can set both General and Divisional stops, (which move mechanically) onto the many preset pistons for quick recall! 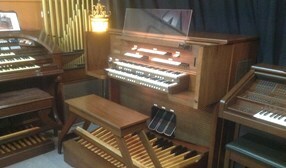 The organ also has both divided & crescendo expression shoes, plus toe pistons and a built in rhythm section. 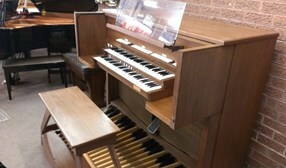 Contained in a separate wooden box is the real mechanical glockenspiel which can be placed on top of the console or away from the organ console itself for great effect. 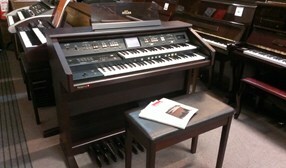 Complete with two tone cabinets for full clarity of sound, this organ is a real delight to hear and play! 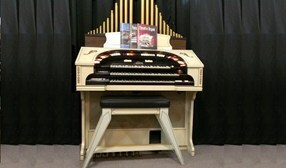 RODGERS Deluxe Theatre Organ Model "The Century 340"
The Century 340 is probably the most complete and well specified theatre organ of its period. 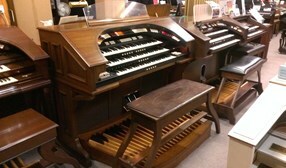 Rodgers Organ only made around eighty of these, and basically were custom made for their customers. 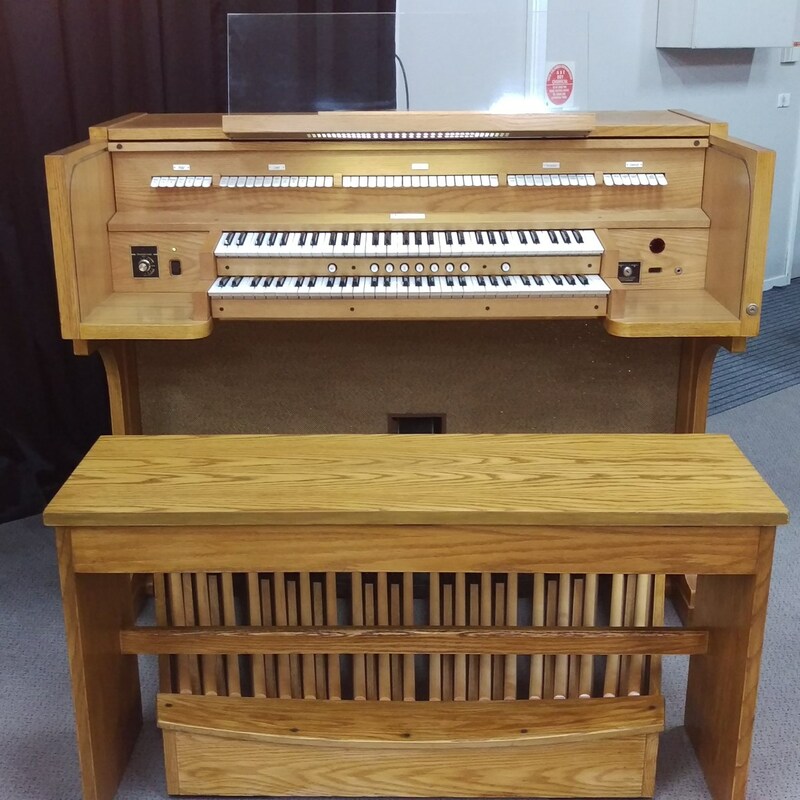 This wonderful organ is a masterpiece in analogue technology and has been fully workshop serviced and restored to its former glory at Metropolitan Organ Service here in Melbourne, by their organ expert technician Barry Wilkinson. All Electronic Tremulants with depth and speed adjustable for incredible realism!, The Piano stop has a sustain control for the same flexibility and realism as a real piano, 3 Full 61 Note Manuals and a proper 32 Note Concave & Radiating pedalboard, individual hand made cabinet with incredible detail to quality and finish, right down to the authentic "Dog Leg Bench"and Illumination on music rest, console and pedalboard. 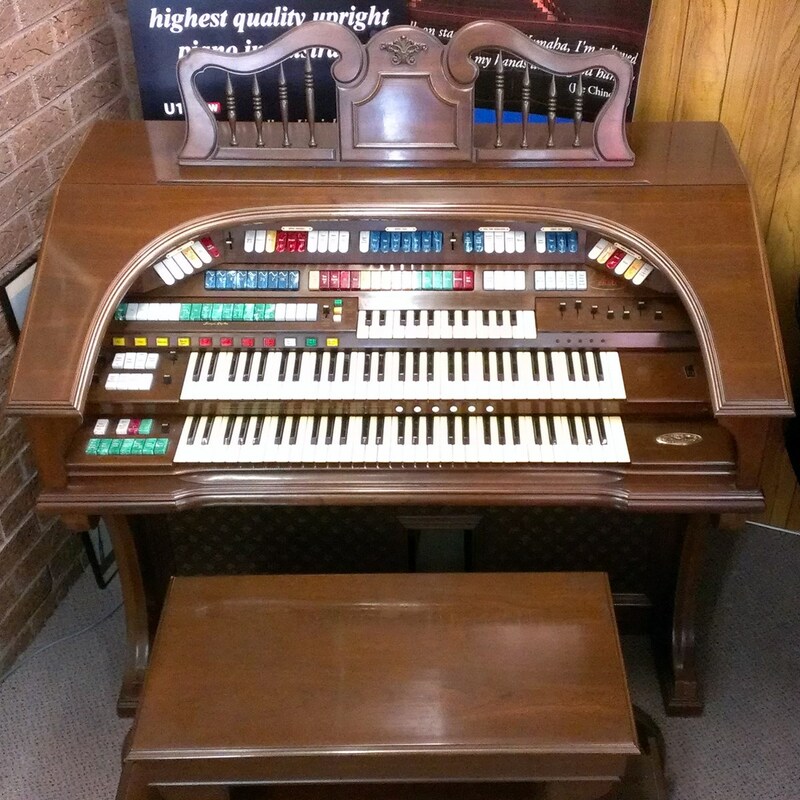 This is one of only three that we are aware that were imported to Australia in the mid 70's, and because it is analogue technology it should continue giving pleasure to both player and audience for many years to come. The most affordable member of the new AT family is the AT-75, yet its quality sounds and styles defy the entry-level categorization of the instrument. 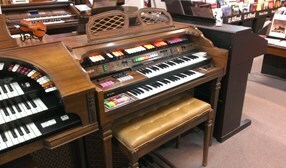 There are 60 voices on board, 40 rhythms, a dual-manual keyboard, harmonic bars, four registration buttons, a USB port and a 30w stereo speaker system. 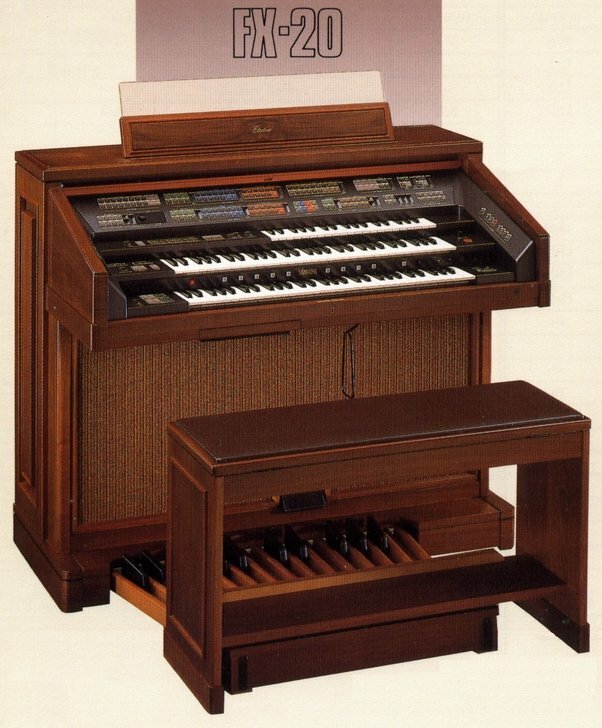 superb sound system that reproduces all the full and rich sounds of the organ. Keyboard plus an extended 20 note Pedalboard. 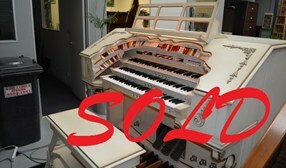 Wurlitzer Theatre Organ 950TA Deluxe Ivory & Gold Finish. 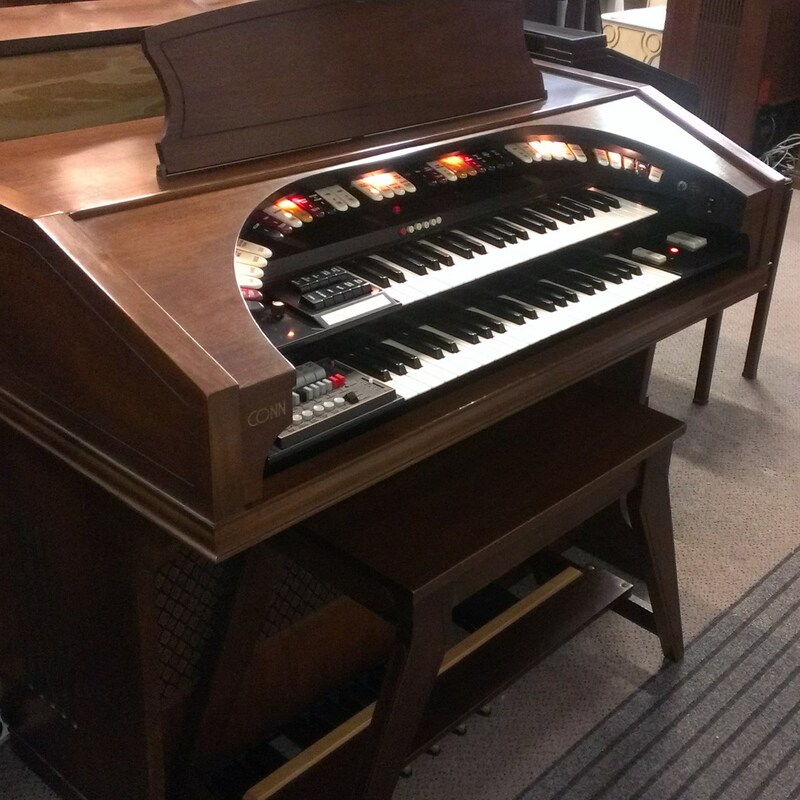 Wurlitzer Theatre Organ 950TA Deluxe Walnut Finish. 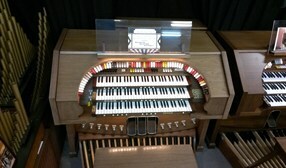 Here is a wonderful model that was the flagship of the Wurlitzer Organ range. 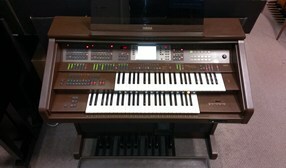 This model has had a complete overhaul and is the one of the best sounding rich theatre organs we have seen. The options are limitless and the look is grand! 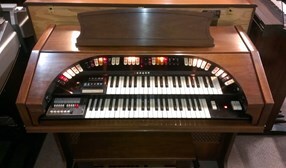 The organ has the famous "Pro-Chord" and orbit sythesizer which can be coupled to the upper keyboard and pedals Presets make it nice and easy to make lightning fast changes from soft tibias to full classic organ. Excellent condition A Must!. 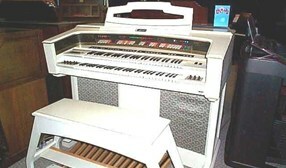 WURLITZER 630TA - In Ivory & Gold ! 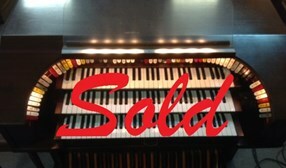 Echos of the glamorous days of the mighty Wurlitzer, the grandest theatre organ of them all! The beauty and styling are captured here in the wonderful Sable Cherry or Ivory/Gold model for the home. 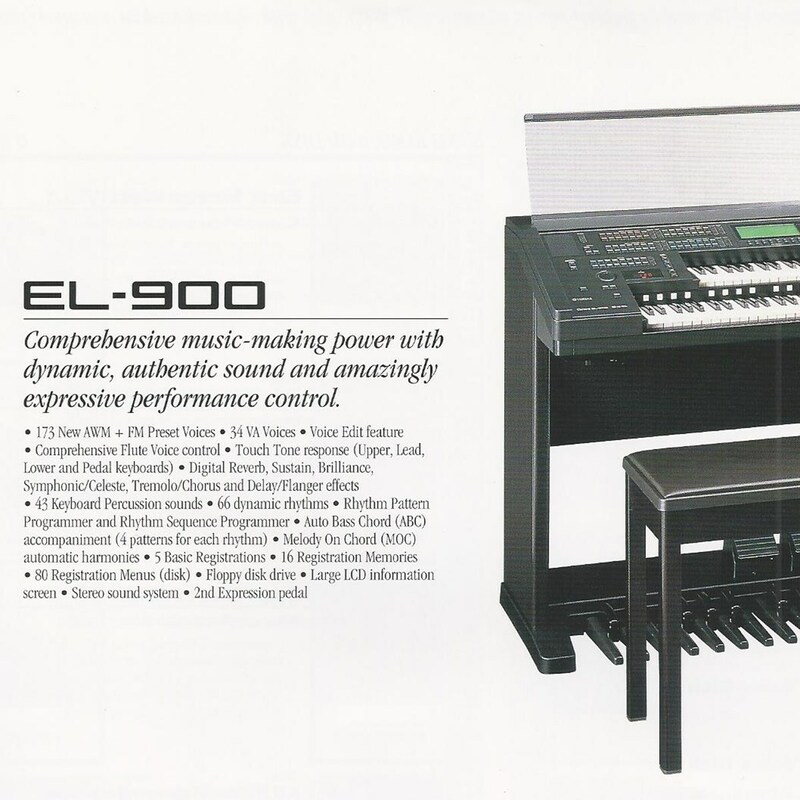 These are compact spinet versions of the larger model 950TA. 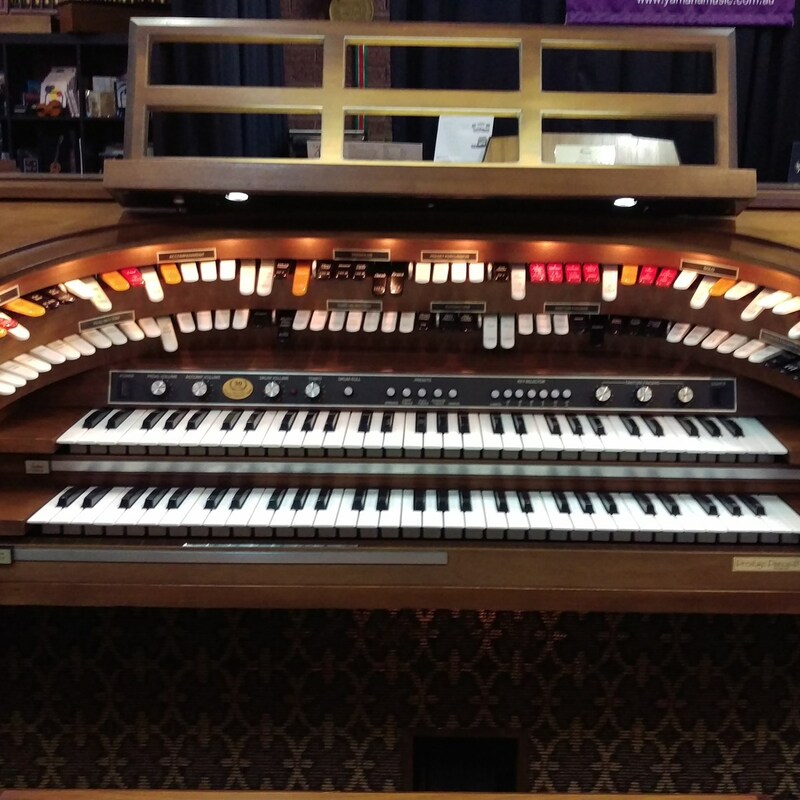 These organs have all the beautiful tibias and a solo keyboard for those chime or celeste effects, or a multitude of other instruments! This series had the Chord Magic feature which gives the player a full chord on the right hand with only one finger melodies. 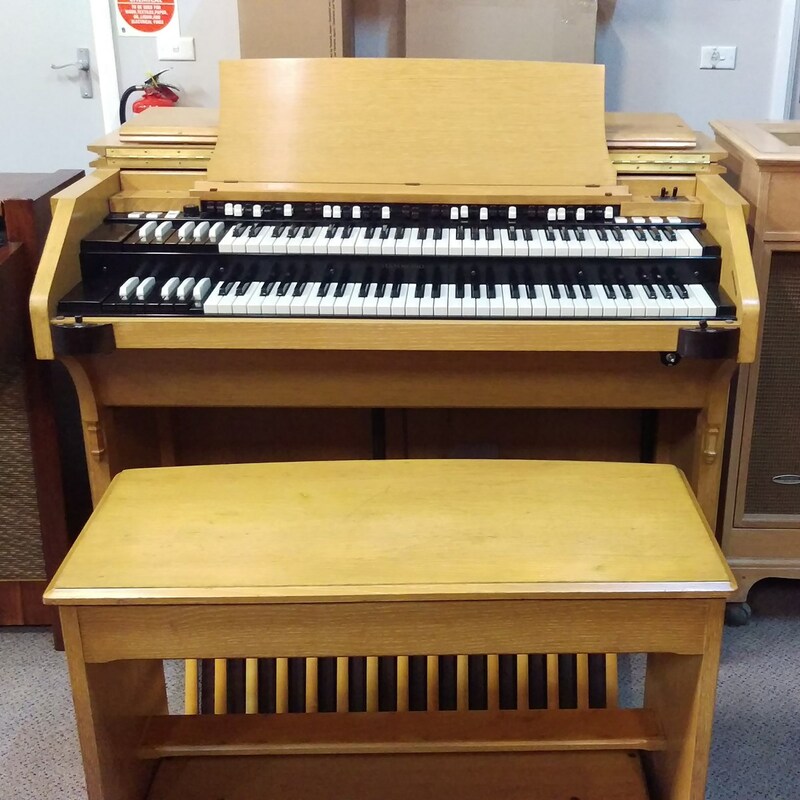 Like all pre-loved instruments at Prestige Pianos & Organs, these organ have had essential workshop overhaul and are ready for another proud owner! The classic ivory/gold model has upgraded dimmable soft cove lighting, plus bonus pedal lighting, and lift up storage bench to match. 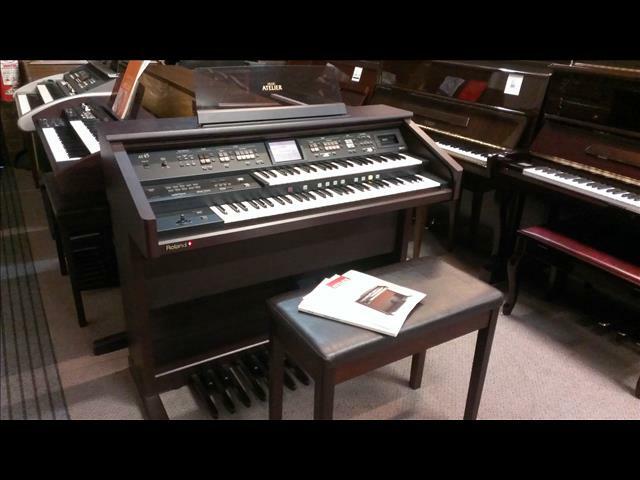 This Electone has great orchestral sounds and range of flute voices blended into a stylish compact design. 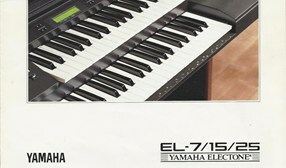 Yamaha quality, built to last! Visually similar to the EL90 model from 1991, but with more voices (173 New AWM + FM Preset Voices), rhythms and effects, the most significant change of this model is the inclusion of 34 VA (Virtual Acoustic) voices. These voices, or preset sounds, do not use sampling technology but is instead based on modeling. Thus providing a different level of authenticity. Touch Tone Response on Upper/Lower/Lead/Pedal voices, allow complete expression to bring life to your music. A second expression pedal allows more effects to be controlled separately. 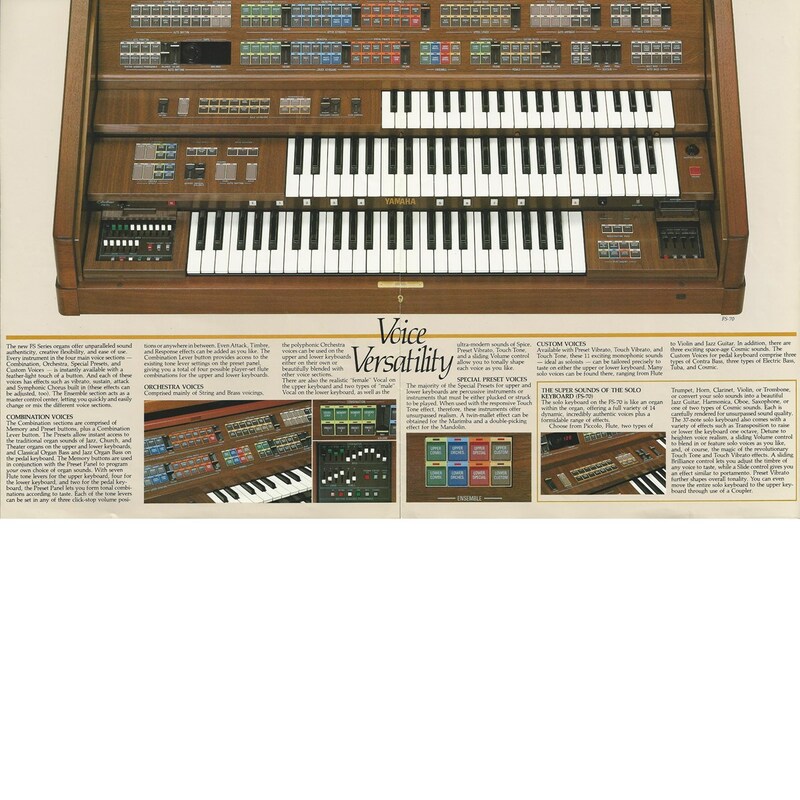 This was described as the "Porsche" of the Electone range and certainly a pinnacle in organ design and incredible versatility! 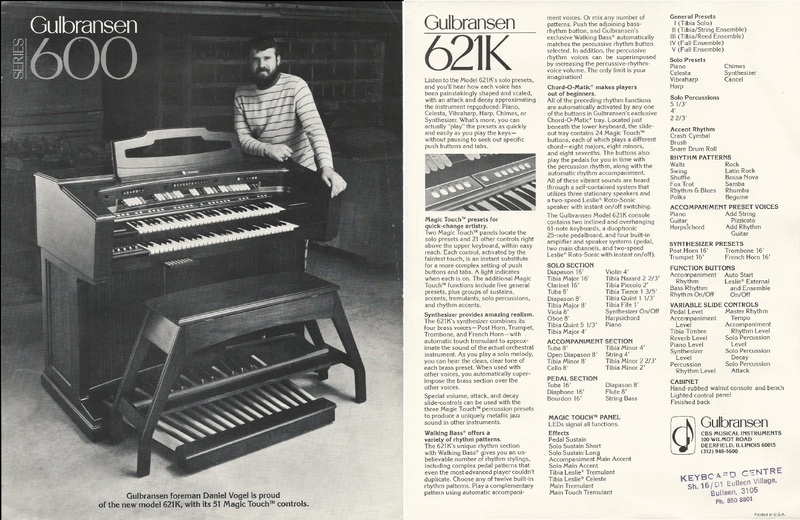 This one will not last, grab yourself one of the ultimate "Organs of all time"
Designed for the American, Austraila andU.K.markets, the AR 100 seemed to have evolved more from the PSR series of instruments rather than EL series Electones. The rhythms and voicings correspond to the PSR series. Voices are all AWM, no FM. 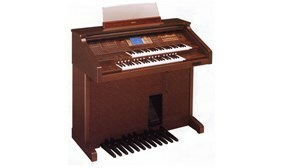 With the AR series you get dedicated organ variations for Theatre, Jazz, Electronic and Classical voicing. 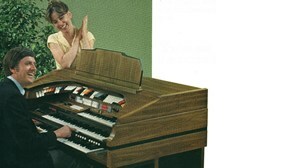 So you can enjoy all the classic organ sounds from jazz and pop to church and theatre. There are even extra, specialist organ voices for ultimate realism. 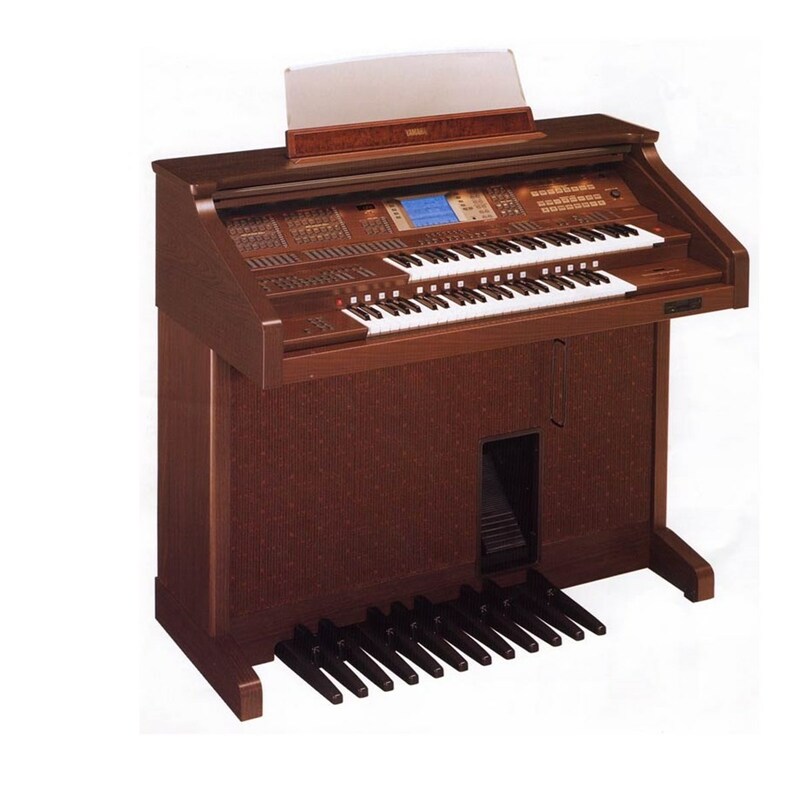 Extensive dedicated controls for the upper and lower keyboards let you adjust flute volume, attack/chiff, length and percussive key click to create exactly the organ sound you want. Designed for the American U.K, and Australian. 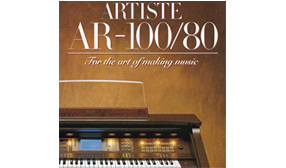 markets, the AR-80 is the smaller version of the AR-100. Like the AR-100, this unit has 288 built-in preset registrations accessed from the large 320x240 dot LCD panel. Like the AR-100, this model uses all AWM voices and does not have Touch Tone on the pedal voices. The AR Series is the perfect marriage of refined styling, ease of use, and advanced music-making technology. Beautiful, traditionally-styled wooden cabinets match any décor. Extensive, dedicated controls put virtually all of the multiple functions right at your fingertips. 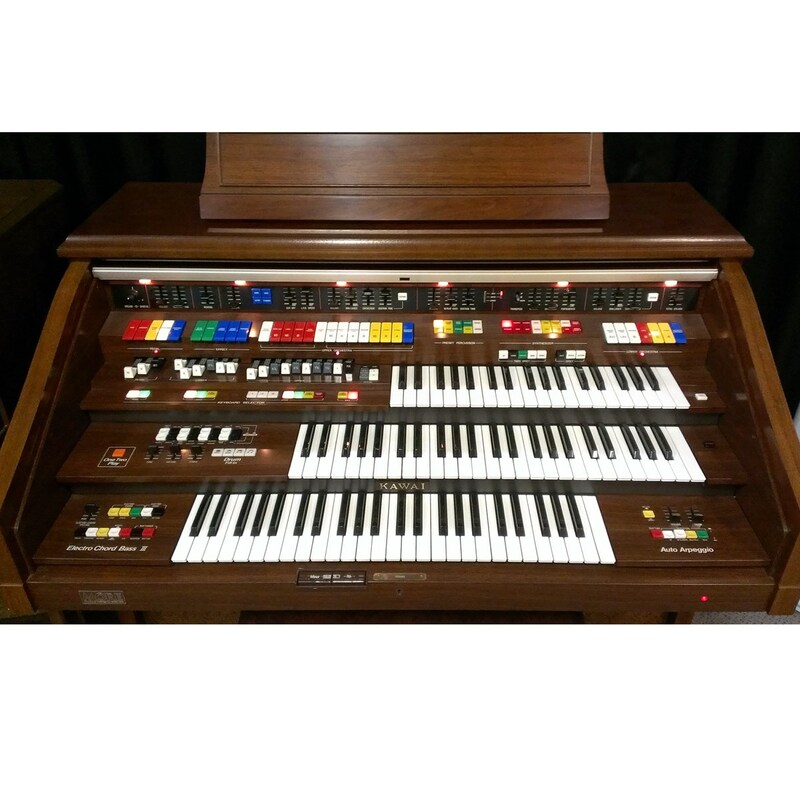 And the incredible selection of classic organ sounds, life like, orchestral voices and dynamic percussion instruments are sure to satisfy the most demanding musician.